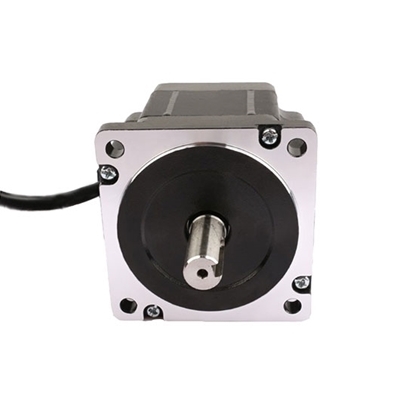 2-phase 4-wire Nema 34 stepper motor with high torque, 4.4Nm holding torque, 4.5A phase current and 1.8 degree step angle. These are new motors in perfect working condition. Manufacturer direct sale. 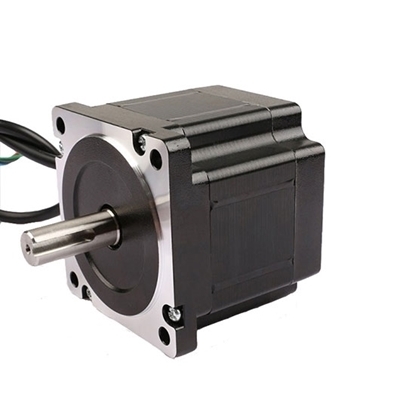 Nema 34 Hybrid Stepper motor with high torque, 5.4 Nm holding torque, body in 96mm long, 1.2 deg. 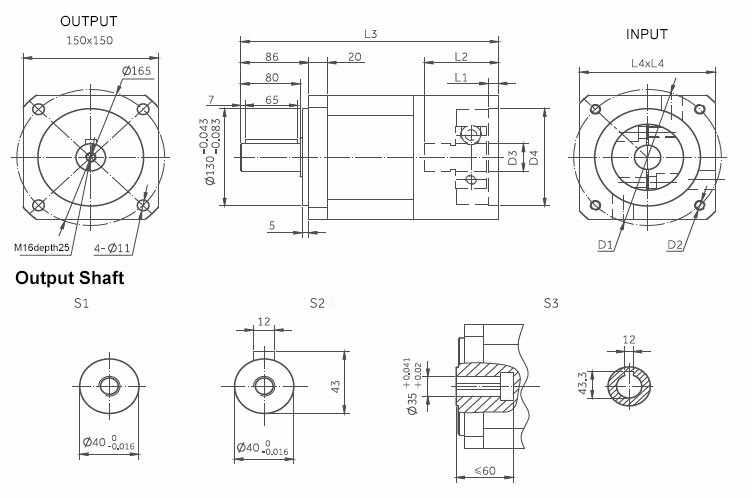 step angle, widely applied in printing machine, industrial automation, etc. Brand new and manufacturer direct sale. 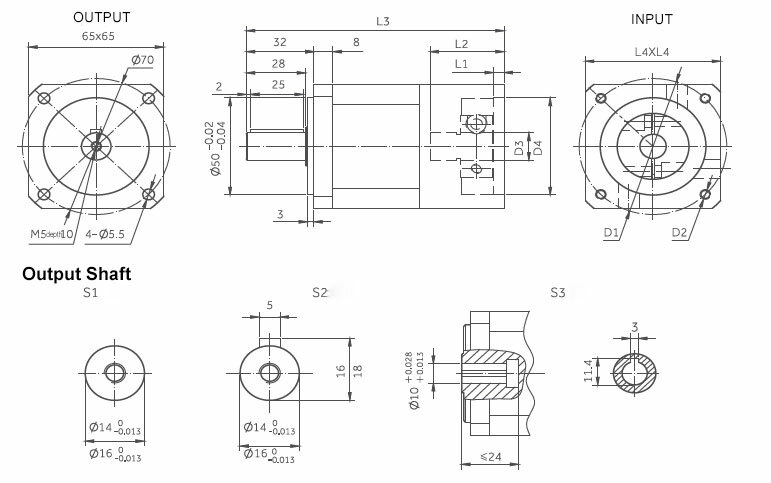 Inline planetary speed reducer gearboxes vary in ratios with 1, 2 and 3 stage planetary gear transmission, square flange design, convenient installation, high rigidity, high load capacity, long service life and manufacturer direct sales. Tips: What is planetary speed reducer? The planetary speed reducer is a kind of transmission mechanism. 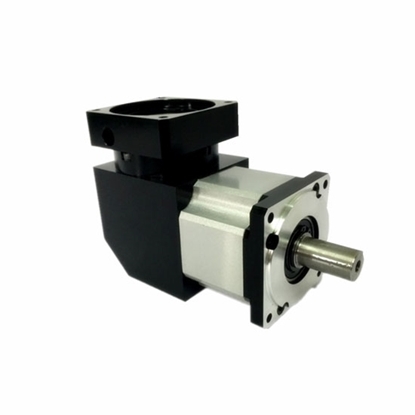 Its structure includes an internal gear ring in close contact with the gearbox case. A sun gear driven by the external power lies in the center of the ring gear. 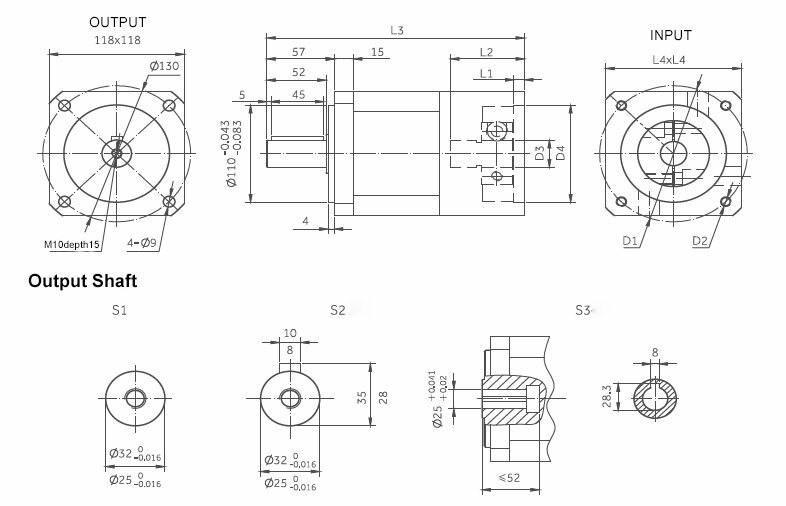 Between the sun gear and ring gear, there is a planetary gear set consisting of three gears equally built-up at the planet carrier, which is floating among them relying on the support of the output shaft, ring gear and sun gear. When the sun gear is actuated by the input force, the planetary gear can be driven to rotate and along with the orbit of the internal gear ring revolves around the center. 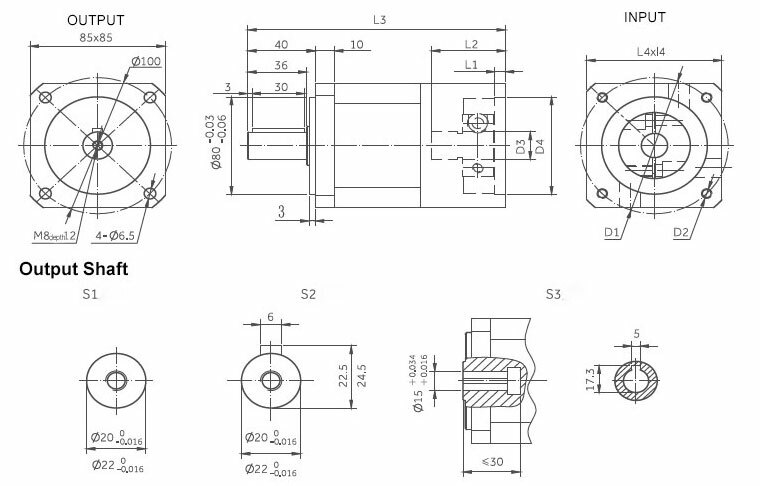 The rotation of the planet gears drives the output shaft connected with the carrier to output the force. 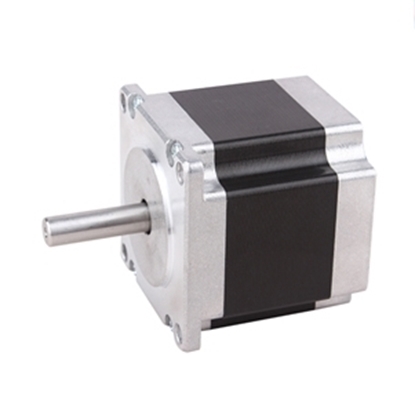 I bought a 4:1 gearbox to reduce the speed of my dc motor. My motor runs too fast and I didn’t need that high speed. Installed with this speed reducer, everything is perfect. Yeah, it works well as I expected.